Happy Friday! This week we saw, once again, the great American experiment in action as we went to the polls. After all the campaigning and advertising and mudslinging elections are over for a little while. 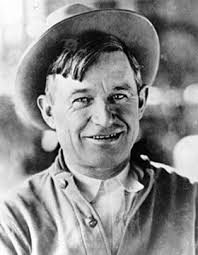 So, it seemed like a good time to dust off some political quotes from Will Rogers that cowboy, performer, humorist, social commentator and motion picture actor of yesteryear. Interesting how what he said still seems relevant today. Everything is changing. People are taking their comedians seriously and the politicians as a joke, when it used to be vice versa. We all joke about Congress but we can’t improve on them. Have you noticed that no matter who we elect, he is just as bad as the one he replaces? Never blame a legislative body for not doing something. When they do nothing, they don’t hurt anybody. When they do something is when they become dangerous. Ancient Rome declined because it had a Senate; now what’s going to happen to us with both a Senate and a House? That’s the trouble with a politician’s life-somebody is always interrupting it with an election. Our president delivered his State of the Union message to Congress. That is one of the things his contract calls for — to tell congress the condition of the country. This message, as I say, is to Congress. The rest of the people know the condition of the country, for they live in it, but Congress has no idea what is going on in America, so the president has to tell ’em. Politics is the best show in America. I love animals and I love politicians, and I like to watch both of ’em at play, either back home in their native state, or after they’ve been captured and sent to a zoo, or to Washington. This entry was posted in Humor and tagged politics on November 6, 2014 by Leonard. Thanks for posting these. Can’t do better than Rogers, Twain, and Marx (Groucho, that is).